SIMPLI set of bathroom floor furniture and Simpli Mirror. SIMPLI Cabinets – Economy Class. 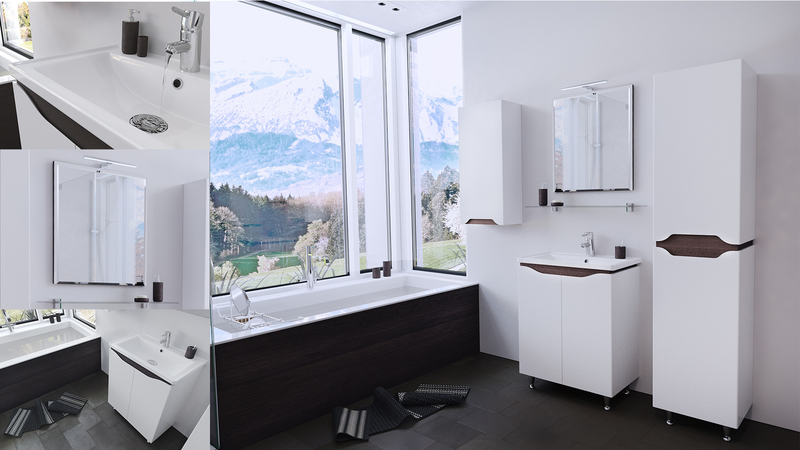 These SIMPLI models of bathroom furniture are provided in the floor version only. This model features a 16 mm thick MDF and absence of handles. Laconic modern design. The collection is notable for the swing facades. Simpli Wenge boasts another characteristic feature – the insert of the specified color. Special construction for drainage equipment installation, Sayerlack lacquering materials (Italy), quality fittings (China) and modern design. 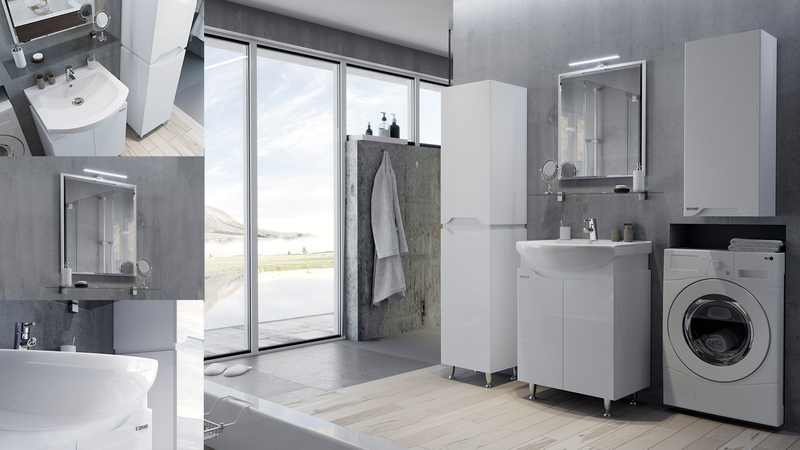 SIMPLI bathroom cabinets are completed with a ceramic wash basin (Kante or Iseo). Kante wash basin goes with 600 mm wide cabinets. This is drop-in wash basin preventing spillage and dripping of the water. Iseo wash basin is available in the dimension of 550 mm. This wash basin is characterized by a pleasant shape and an impressive look despite its small dimensions. Width (under the wash basin): 550 mm, 600 mm. Cabinet depth: 350 mm and 450 mm accordingly. Flooring Tall Cabinet height: 1650 mm.